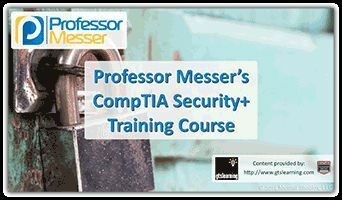 The following is a list of acronyms which may appear on the CompTIA Security+ exams. Candidates are encouraged to review the complete list and attain a working knowledge of all listed acronyms as a part of a comprehensive exam preparation program. 3DES Triple Digital Encryption Standard - A common name for the Triple Data Encryption Algorithm (TDEA or Triple DEA) block cipher, which applies the Data Encryption Standard (DES) cipher algorithm three times to each data block. The original DES cipher's key size of 56 bits was generally sufficient when that algorithm was designed, but the availability of increasing computational power made brute-force attacks feasible. Triple DES provides a relatively simple method of increasing the key size of DES to protect against such attacks, without the need to design a completely new block cipher algorithm. AES256 Advanced Encryption Standards 256bit - See AES above. ARO Annualized Rate of Occurrence - The probability that a risk will occur in a particular year. BOTS Network Robots - Software applications that run automated tasks over a network. Typically, bots perform tasks that are both simple and structurally repetitive, at a much higher rate than would be possible for a human alone. DDOS distributed denial of service - An attempt to make a computer or network resource unavailable to its intended users, generally consisting of the concerted efforts of a person, or multiple people to prevent an Internet site or service from functioning efficiently or at all, temporarily or indefinitely. DES Digital Encryption Standard - A previously predominant algorithm for the encryption of electronic data. It was highly influential in the advancement of modern cryptography in the academic world. DES is now considered to be insecure for many applications. HMAC Hashed Message Authentication Code - A specific construction for calculating a message authentication code (MAC) involving a cryptographic hash function in combination with a secret cryptographic key. As with any MAC, it may be used to simultaneously verify both the data integrity and the authenticity of a message. IaaS Infrastructure as a Service - In this most basic cloud service model, cloud providers offer computers � as physical or more often as virtual machines �, raw (block) storage, firewalls, load balancers, and networks. IaaS providers supply these resources on demand from their large pools installed in data centers. Local area networks including IP addresses are part of the offer. For wide area connectivity, the Internet can be used or -- in carrier clouds -- dedicated virtual private networks can be configured. IKE Internet Key Exchange - The protocol used to set up a security association (SA) in the IPsec protocol suite. IKE builds upon the Oakley protocol and ISAKMP. IKE uses X.509 certificates for authentication which are either pre-shared or distributed using DNS (preferably with DNSSEC), and a Diffie�Hellman key exchange to set up a shared session secret from which cryptographic keys are derived. In addition, a security policy for every peer which will connect must be manually maintained. LANMAN Local Area Network Manager - The primary hash that Microsoft LAN Manager and Microsoft Windows versions prior to Windows NT used to store user passwords. Support for the legacy LAN Manager protocol continued in later versions of Windows for backward compatibility, but was recommended by Microsoft to be turned off by administrators. As of Windows Vista, the protocol is disabled by default, but continues to be used by some non-Microsoft CIFS implementations. MD5 Message Digest 5 - A widely used cryptographic hash function that produces a 128-bit (16-byte) hash value. Specified in RFC 1321, MD5 has been employed in a wide variety of security applications, and is also commonly used to check data integrity. MD5 was designed by Ron Rivest in 1991 to replace an earlier hash function, MD4. An MD5 hash is typically expressed as a 32-character hexadecimal number. SHA Secure Hashing Algorithm - One of a number of cryptographic hash functions published by the National Institute of Standards and Technology (NIST) as a U.S. Federal Information Processing Standard (FIPS). SSH Secure Shell - A network protocol for secure data communication, remote shell services or command execution and other secure network services between two networked computers that it connects via a secure channel over an insecure network: a server and a client (running SSH server and SSH client programs, respectively). TACACS Terminal Access Controller Access Control System - Terminal Access Controller Access-Control System (TACACS) is a remote authentication protocol that is used to communicate with an authentication server commonly used in UNIX networks. TACACS allows a remote access server to communicate with an authentication server in order to determine if the user has access to the network. TACACS uses (either TCP or UDP) port 49 by default. TACACS+ and RADIUS have generally replaced TACACS and XTACACS in more recently built or updated networks.